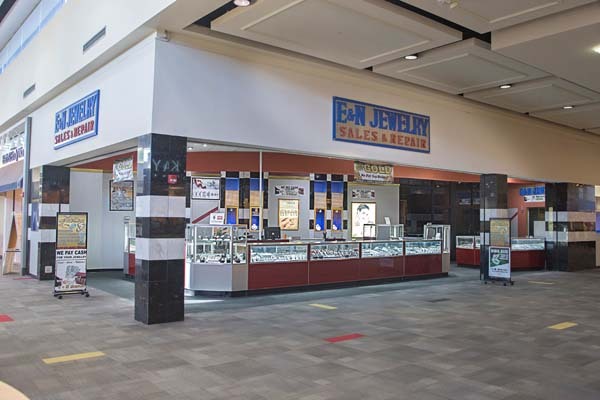 E&N Jewelry, located next to Bath & Body Works. 40 years of jewelry repair experience. Ring sizing done in 30 minutes while you shop, rush jewelry repair service. Huge selection of men and women jewelry. We carry gold, silver, stainless steel, titanium and tungsten jewelry. Best prices in the area! We pay CASH for your old and unwanted jewelry, fixed or broken. Gold, silver, and platinum. highest cash paid!